If you want to access the web GUI of your Gradwell-supplied router (for example, to tweak some settings) then first you will need to know the IP address of your router. All Gradwell routers are supplied with a static IP address that does not change, you can find this in your welcome email. Alternatively, simply type in "what's my IP" into a search engine. 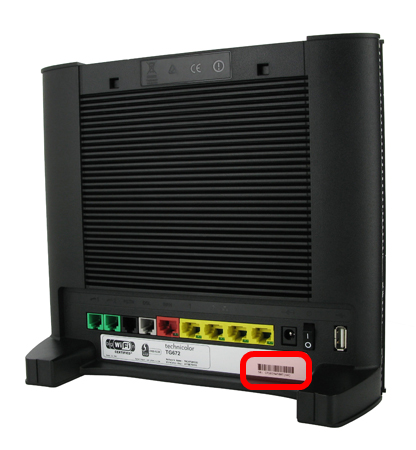 The serial code can be found on the rear of the unit, as shown in the picture below.